A collection of art, the likes of which has rarely been seen outside of Italy is currently being exhibited at the Art Gallery of Western Australia. A Window on Italy – The Corsini Collection is a display of fine Italian art from many acknowledged masters, on display at AGWA till June 18. To get our bearings on this breathtaking array and the fascinating story behind the display DAVID O’CONNELL spoke to AGWA Curator of Historical and Modern Art, Melissa Harpley. Is it true that there is a bullet hole in one of the paintings? Yes, there is a painting – of the family’s saint, Sant’Andrea Corsini by the artist Guercino – that has two bullet holes in it. It was shot by a German army officer in 1944 while the German army was retreating through Italy. The collection had been hidden from the Germans by Donna Elena Corsini in the hope of protecting it. What is so important about the Corsini Collection? The collection is important because it contains fine examples of paintings by some of the leading names in Italian art such as Botticelli and Caravaggio, and gives visitors to the exhibition the opportunity to see works by Renaissance and Baroque painters in particular. Also, the collection, being privately owned, is not generally accessible to the general public. 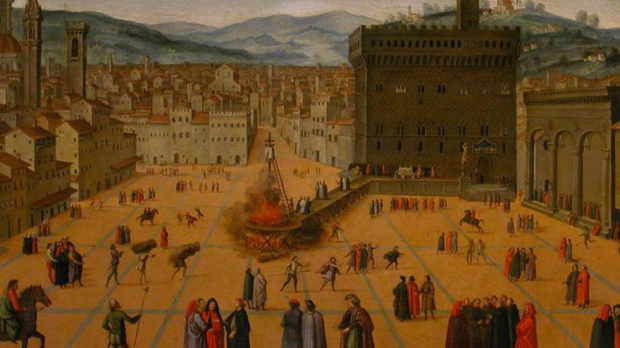 The collection tells a story of Italian art, but it also tells the story of the Corsini family – of individual members such as Donna Elena, and also the family’s saint, and their pope, Clement XII – and it tells a story of patronage of artists (what types of works were fashionable to commission and collect at different times of history), and it also gives an insight into the city of Florence as a centre for art. Who are the Corsini family, that they were garner such a collection? The Corsini family started as merchants, but over the centuries they have also been important figures in politics – in Florence and Italy generally – and in the Catholic church, also as patrons of scholars, artists and architects. How were we lucky enough to have this extraordinary collection visit Perth? The exhibition is in Perth due to the excellent contacts that the gallery has with the wider art community – both in Italy, but also with our colleagues in New Zealand with whom we partnered in this exhibition. It has also been made possible through philanthropic support from the local community in Perth, particularly from members of Perth’s Italian community. Is there one piece that you, personally, are particular excited about displaying? That’s a tough one! There are many paintings that give me great pleasure as beautiful works of art – the Botticelli is a very moving meditation on sorrow and loss, plus it’s not often that we have Botticelli in Perth which in itself is very exciting – but then I am also captivated by the enigmatic Portrait of an unknown man by Ridolfo Ghirlandaio … and I also find myself spending a lot of time with Annigoni’s Portrait of Donna Elena Corsini, which is a quietly powerful portrait of an extraordinarily brave woman. What artists are represented by this collection? Are you giving guided tours during the exhibition? Yes, the Gallery guides will be offering tours throughout the exhibition. Details are on the Gallery’s website.